Beer and Code Skopje is a bi-monthly coding night for the Toptal Skopje team and for talented local developers. 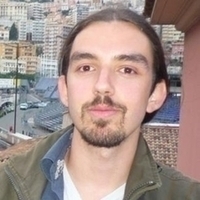 This week’s speaker is Kosta Papaz who will talk about Spammers and Coders, a web application spam. You will hear how it works and how spammers make money and what kind of applications they use. Please RSVP here to give us an accurate head count. For questions regarding this event contact the event organizer Bojan Ilievski. Your message to Bojan was sent.